If you have a home office, then you know what it's like to try to make it conducive to do work without it feeling like being in the office. 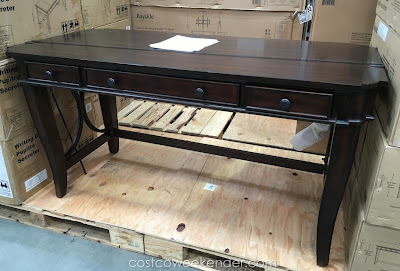 Yes, you can always furnish it with your standard computer desk, but why do so when you can get a better desk that isn't dull and doesn't make it seem like you're sitting in a cubicle eight hours a day? Alternatively, you can get the Bayside Furnishings Writing Desk. 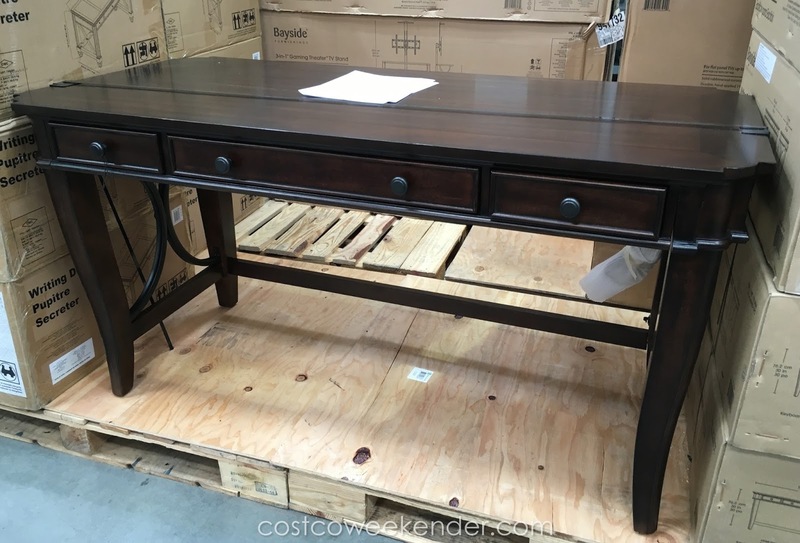 It's elegant design will give any home office that classy look fit for an executive. It's big enough to have a computer at your desk, so you can get some work done. 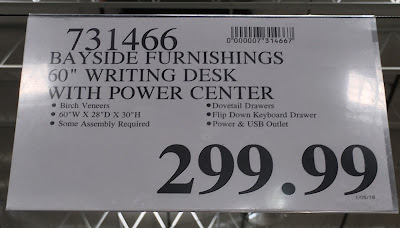 What's also great are the power and usb outlets that are integrated with the desk giving you an added convenience that most computer desks lack. You not only can get work done here, but you can also pay bills, write letters, write letters, and open incoming mail. 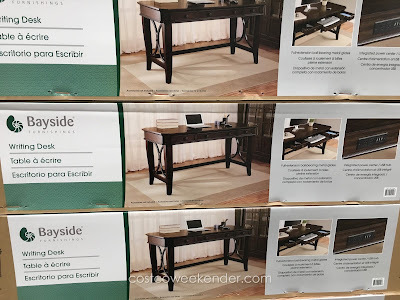 You won't regret getting the Bayside Furnishings Writing Desk when work suddenly doesn't feel like work sitting at this desk.